A1 Drive Shaft Vic P/L specializes in supplying power steering rack, pumps & boxes for vehicles of all makes and models to our customers across Victoria. The power steering racks, pumps & boxes we deliver are carefully cleaned, inspected and rebuilt using high-quality parts and they are tested to the highest standards. A1 Drive Shaft Vic P/L supplies only high-quality power steering racks, pumps, and boxes that feature accurate and quick steering response. 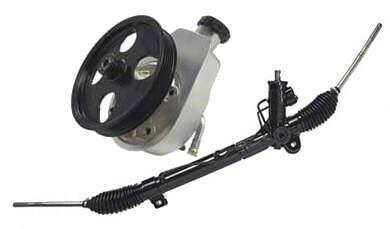 All our reconditioned power steering parts are extremely durable and have great value for your money. Our experts also help you with choosing the right product for your specific vehicle type. A1 Drive Shaft Vic P/L is the right choice for the hassle-free shopping experience and getting quality power steering racks, pumps and boxes at the lowest possible prices. For quality power steering rack & pumps in Melbourne, Call (03) 9417 5859.